You'll be £6.99 closer to your next £10.00 credit when you purchase Major & Mrs Holt's Pocket Battlefield Guide to the Somme 1916/1918. What's this? The Somme is the epicentre for most people in the study of the First World War from a UK and Commonwealth perspective. 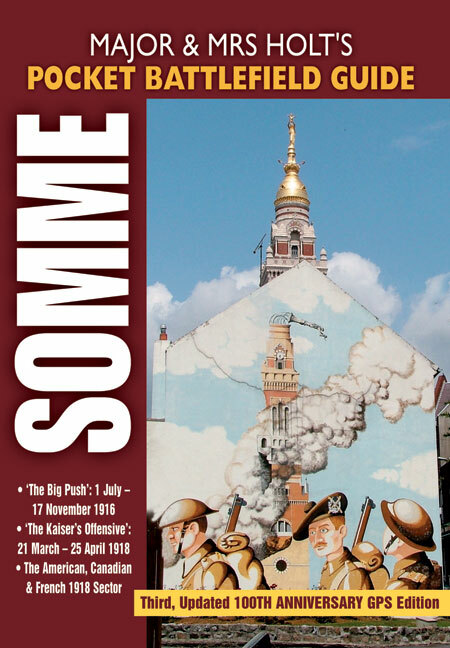 Today the landscape and terrain are dedicated to the soldiers that fought and died there and Major and Mrs Holt's Pocket Guide to the Somme has been put together to take you around the area. This book, part of a new series of guides, is designed conveniently in a small size, for those who have only limited time to visit, or who are simply interested in as an introduction to the historic battlefields, whether on the ground or from an armchair. They contain selections from the Holts' more detailed guides of the most popular and accessible sites plus handy tourist information, capturing the essential features of the Battles. The book contains many full colour maps and photographs and detailed instructions on what to see and where to visit. Covers the 1916 battles, the Kaiser’s Offensive of March-April 1918 and the American-Canadian sectors of 1918. // Battlefield details capturing essential features and tourist information.